Silicone Paint is a ready-to-use masonry paint available in hundreds of colours. It offers a waterproof and highly breathable decorative finish that is resistant to environmental pollutants. 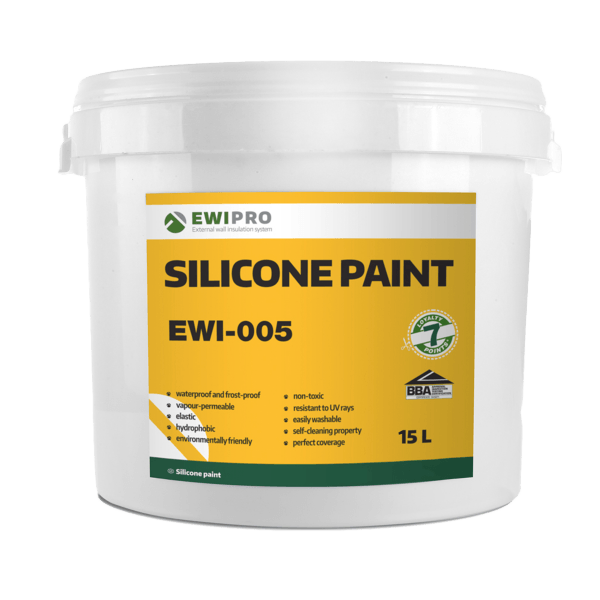 Silicone Paint is a high-performance masonry paint. It can be used for painting over an existing render in order to refresh the facade and create a finish that looks brand new, or it can be painted over our Mineral Render to seal the render in. Silicone Paint is suitable for use internally and externally, it also occupies the final stage of our Mineral Render system as a means of sealing the system and creating a decorative finish. Depending on the weather conditions, Silicone Paint should be applied 3-7 days after the Mineral Render has been applied to the substrate. This will ensure that a strong physical and chemical bond forms between the Mineral Render and the masonry paint. Silicone Paint should be applied in temperate weather and should not be used in temperatures above 30°C. Likewise, if the materials or the substrate are frozen, or if there is any risk of frost damage within the first 24 hours, work should be postponed. 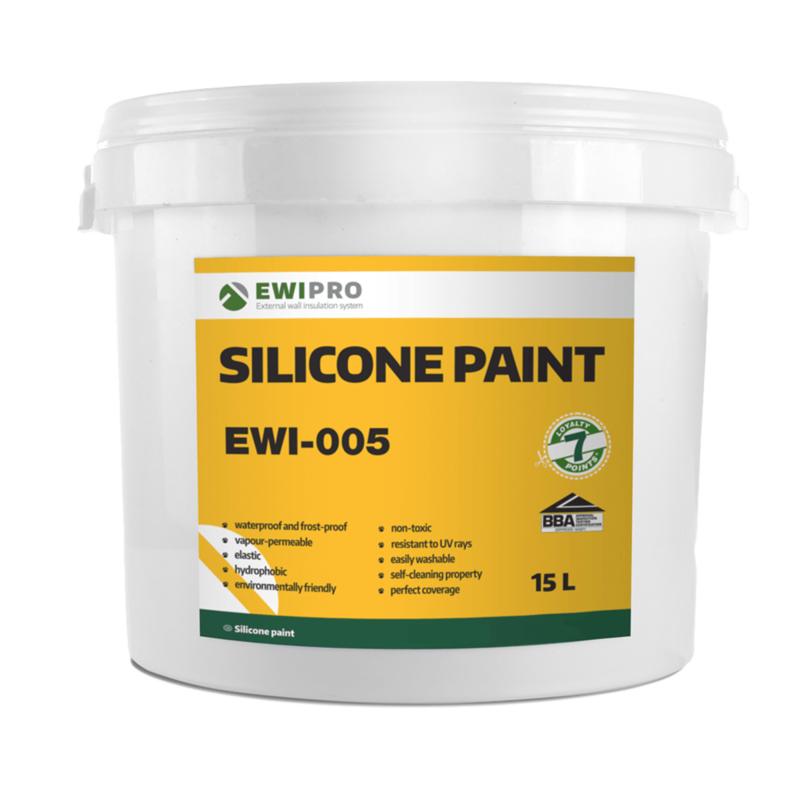 EWI-005 is available in 5 litre and 15 litre buckets.